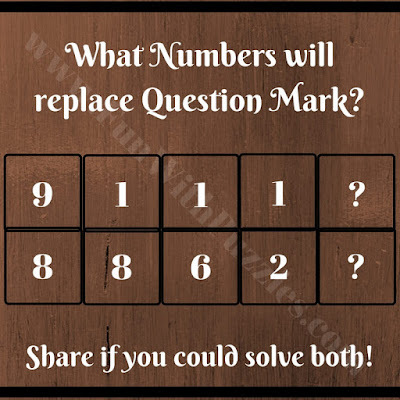 When it comes to Fun Brain Teasers, Math Brain Teasers are very interesting brain teasers in which puzzle questions are based upon mathematical operations. In such Maths Mind Games, few numbers are given in some sequence or around a particular shape. These numbers relate to each other with some maths formula or mathematical operations. One has to find this hidden relationship among these numbers and then solve it for the missing numbers. Today's mind games are based upon two parallel number sequences. In these Maths Mind Games, two parallel sequences of numbers are given. These numbers follow some sequential patterns or some logical or mathematical relationship. 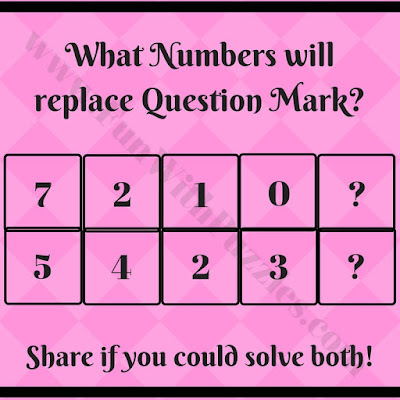 Find these patterns in these puzzles and find the missing numbers at the end which will replace the question marks. 1. Can you solve it for the missing number? 4. Can you find the missing numbers? 5. 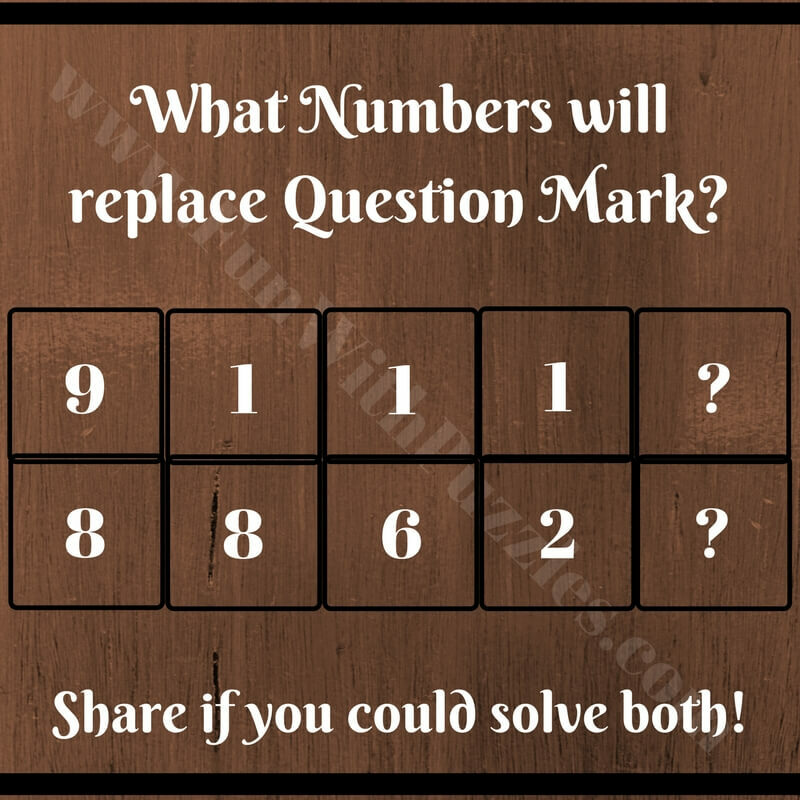 Can you solve this puzzle to find missing numbers? 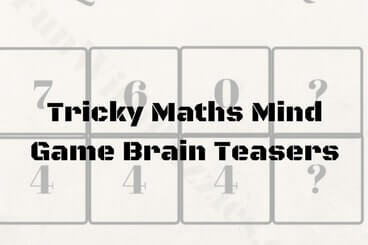 These tricky Maths Mind Game Brain Teasers tested both your Mathematical skills as well as Logical Reasoning. 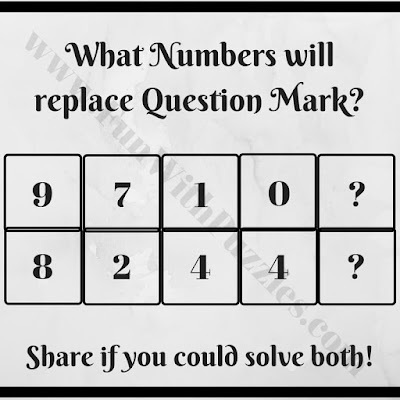 Do try out below mentioned puzzles and brain teasers to further test your Maths and Logical skills. 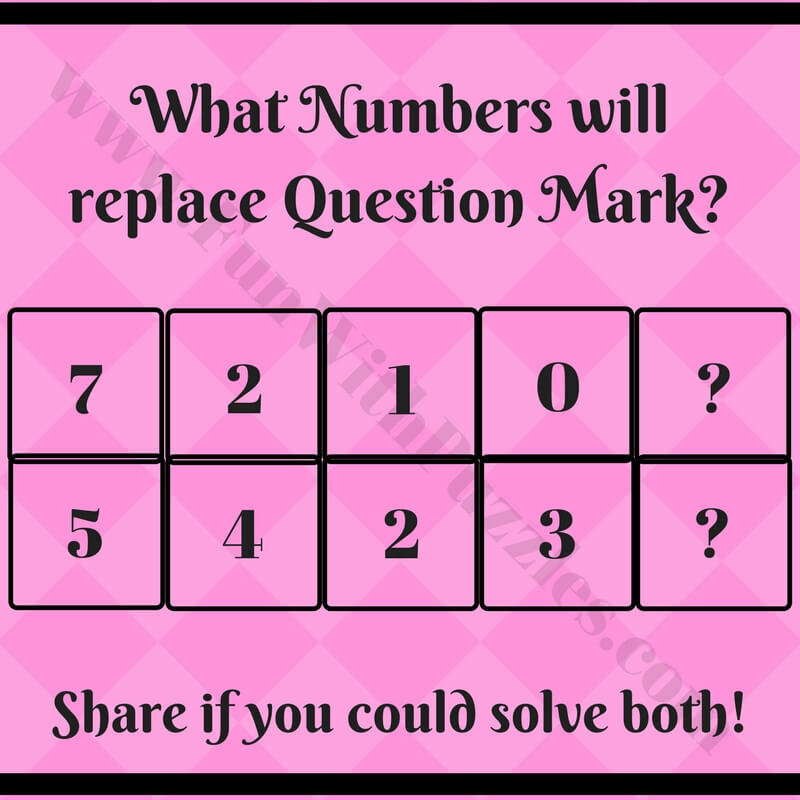 5 Awesome Brainteasers To Test Your Mental Sharpness: These are very interesting Parking Brain Teasers which will test your mental sharpness. In these brainteasers, your challenge is to find the parking number on which the given vehicle is parked. Maths Logic Circle Puzzle Questions with Answers for School Students: These are Circle Picture Puzzles to test your Maths and Logical skills in which your challenge is find the missing number in the Circle. 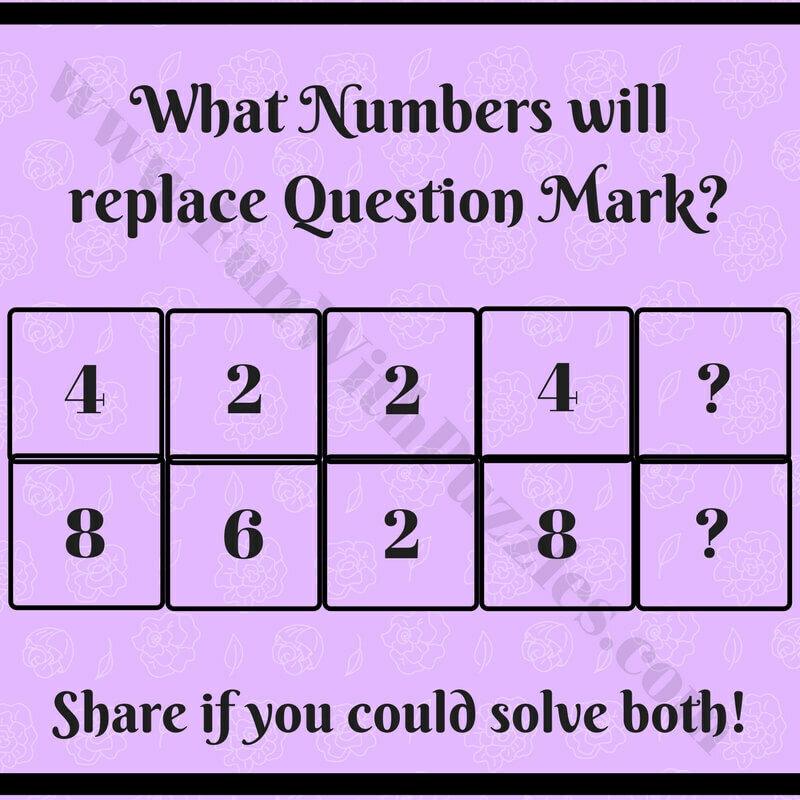 Mind Twisting Math Pattern Series Riddles with answers : Can you find the next number in the series. These are the series riddles in which your challenge is find the pattern of the given series and thus deduct the next number in the series. Critical Thinking Puzzles-Crack the Code: These are critical thinking puzzles in which you have to crack the code by your logical thinking and then open the lock. Please do post your answers in case your answers differs. It will be interesting to know the different logic to solve these puzzles. Do let us know for which question you are looking for the explanation, we will post the logic for that question soon? We have now added logical explanation for each of the answer. 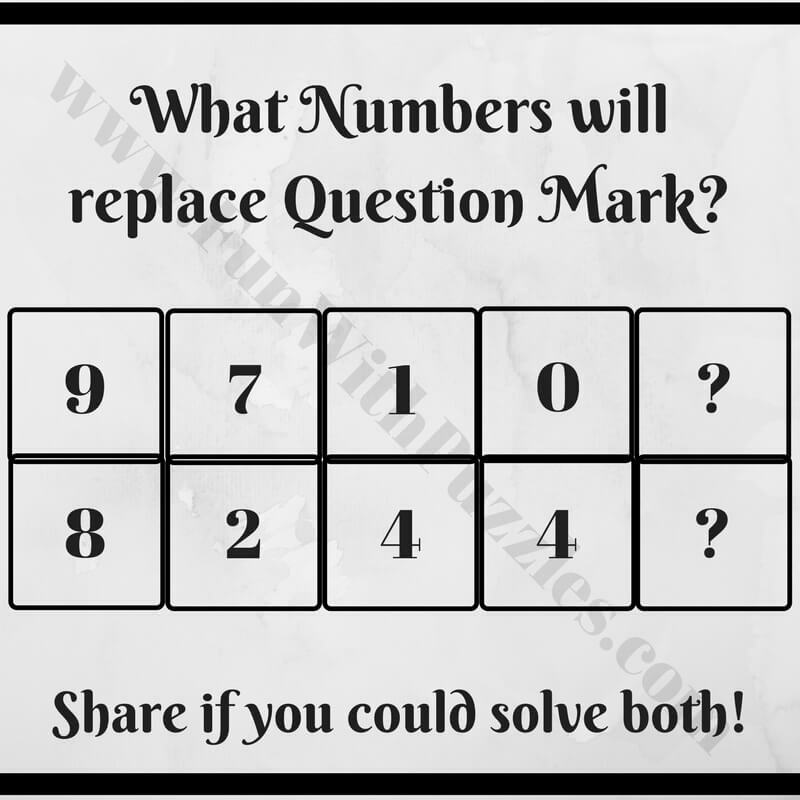 Do post your comments in case you got different reasoning for any of these brain teasers. Thumbnail picture is just snapshot. 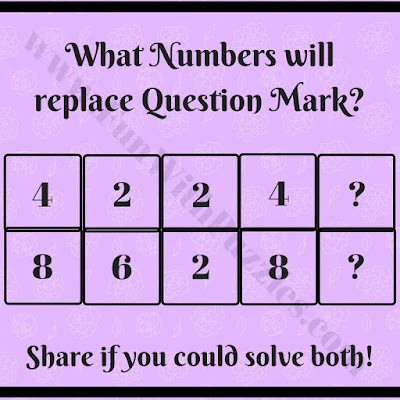 However there are similar missing number puzzles here on this website which you can check it out. Check the link given at the end of the puzzle images. It will lead you to the puzzle video containing the answers and explanations of these puzzles. Do let me know if something is not clear?